I came to this site for one pattern--but you seem to have all the kids patterns I have been looking for. They look like they will turn out great. 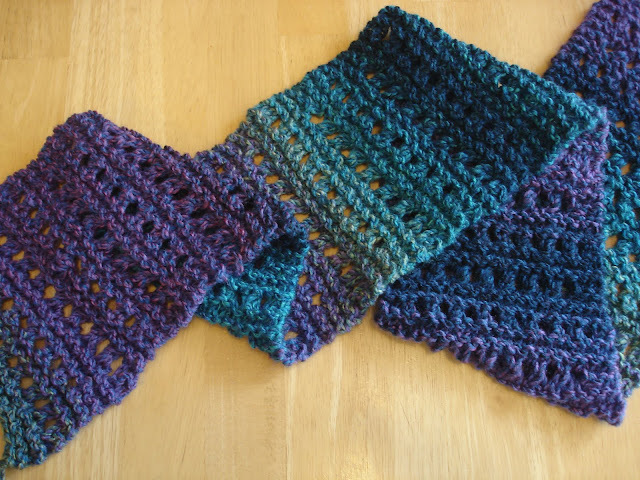 I loved the look of your site from the colors of the yarn on the first page and I love your color picks for each of the patterns. Thank you very much for being here. Thank You Now I have another question what is st st I read one place it says to knit each roung and another one I looked up says to knit one row and then purl one row is that for a regular flat knitting not circular or DPN? 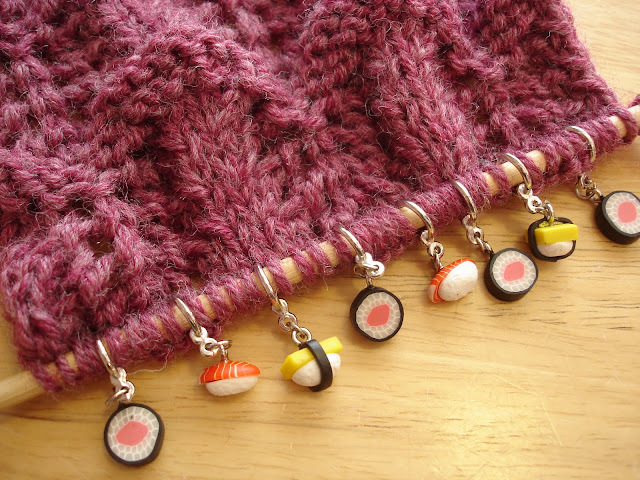 "st st" is an abbreviation for "stockinette stitch" When knitting in the round (with circular needles or DPNs), you would knit each round, when knitting flat (with straight needles), you would knit a row, then purl a row. Hope that helps! Jennifer: I'm a fan!!! 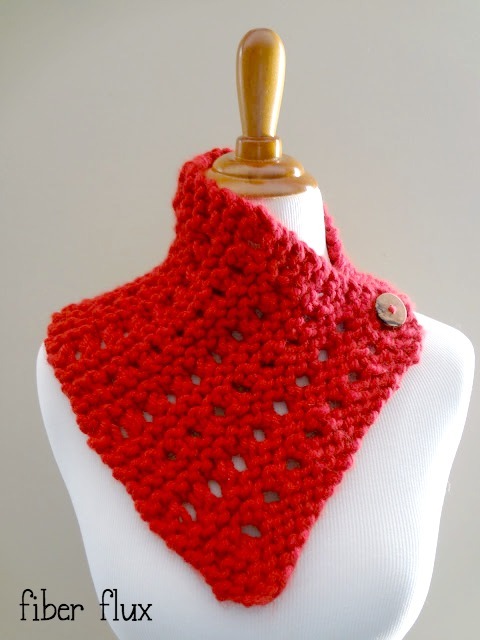 Would love to start knitting some red scarves for next year's red scarf project. Have you finished your pattern yet? Thanks and thanks for sharing these GREAT ideas and projects. 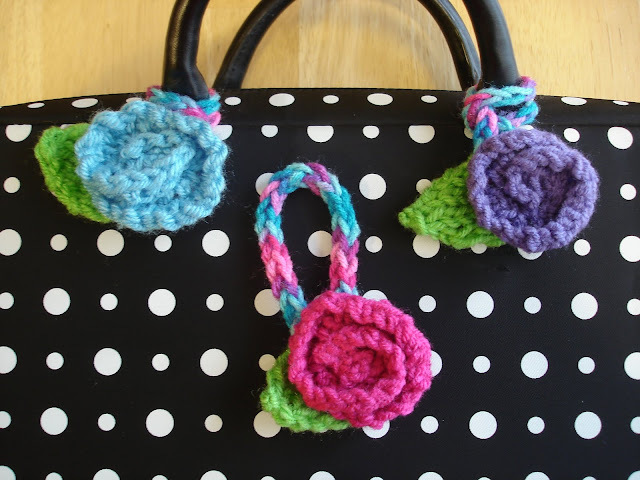 wow im very young im only 13 an love to knit all these patterns are so amazing im going to try each and every one of them. 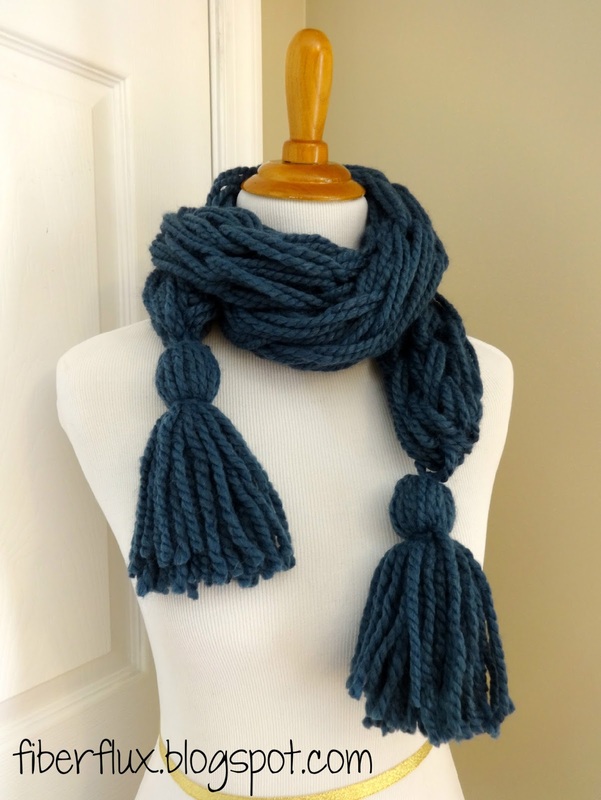 i just stumbled across your site from ravelry.com and i love it! 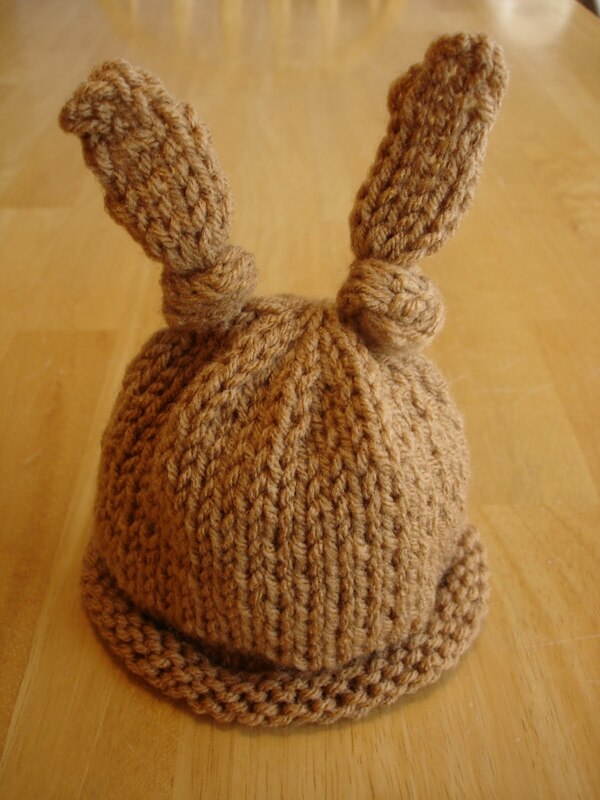 ive got three little heads that are just crying for bunny and bear hats! Thank u...very excellent blog...u r very talented. 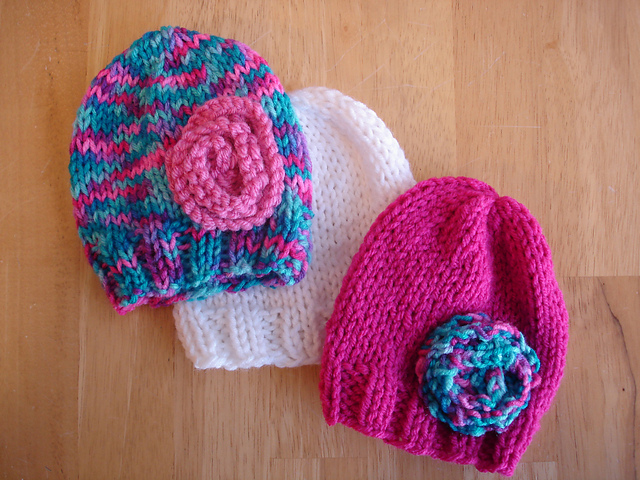 Love you baby patterns,I have a passion for knitting for little ones big or small Thank you. thank you for all the free, wonderful patterns! Awesome! Sounds like so much fun! I love your work and you are most generous. At the risk of sounding tecnologically challenged,(which I am), how can I print a copy of a pattern to work on without having to copy all of the comments? 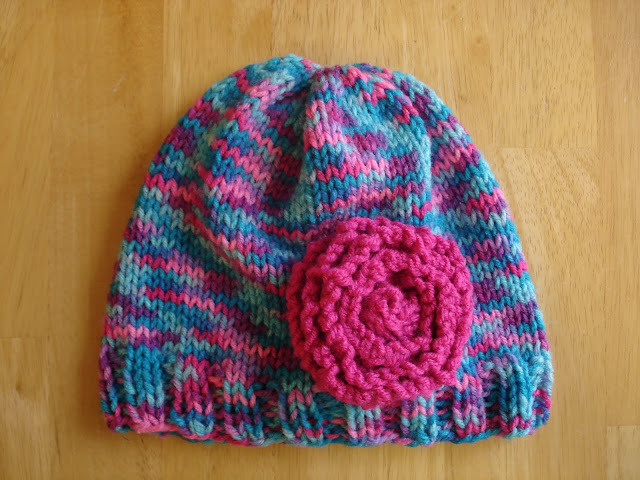 I get together with ladies from my church twice a month to knit for the homeless and would love to share some of your patterns with them. Any help would be appreciated. Thanks! Lovely collection of patterns :) Thanks for sharing them! Hi I'm new to your site, could you help me with conversions to knit the baby bear hat for a one year old? Thanks I love your site and I'll be back !!! Oh, so glad you were able to find it! Happy knitting!! You have a wonderful site and many beautiful patterns. If I didn't have to bathe my kids and put them to bed, I would allow myself to be sucked into the vortex of wonder you have posted here. Seriously, this was just what I needed tonight. Suzanne, I loved reading your comment, thank you!!! 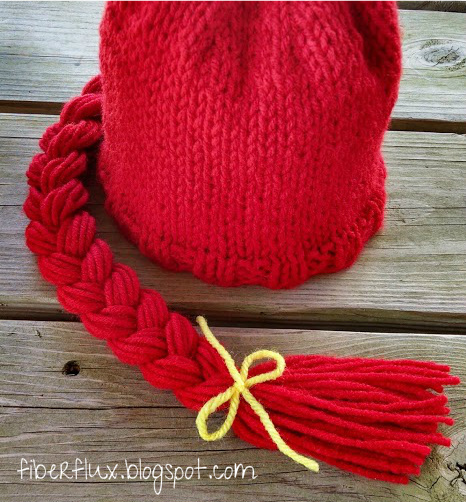 I really love this site but i would like it if you could include some patterns for kids and begginers.It was very kind of you to share these...thankyou!!! Hi! 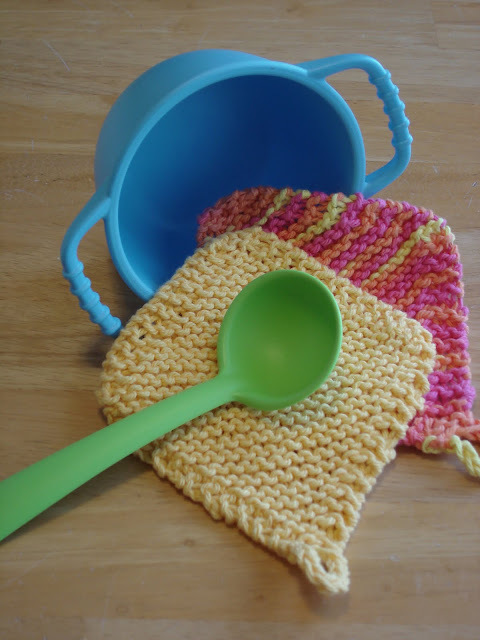 Try this pattern: http://fiberflux.blogspot.com/2011/07/free-pattern-play-kitchen-potholders.html They are play kitchen pot holders, super easy to make for all ages and kids can play with them afterward! 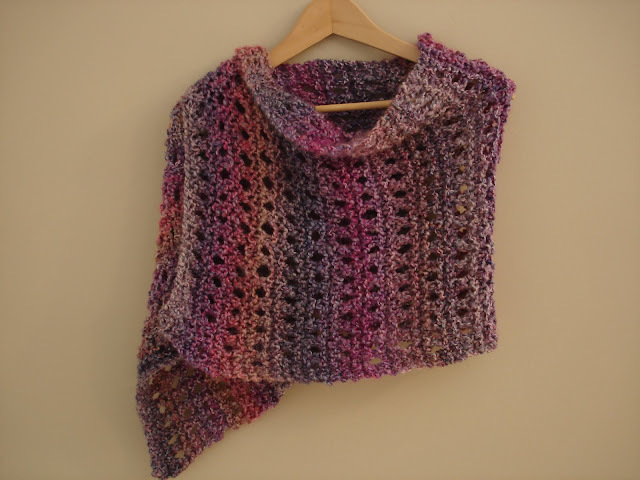 Hi, We are starting a Knitting/Crochet Ministry at our Church and your Peaceful Shawl pattern is perfect!!! On behalf of the future recipients I thank you for your generosity in sharing your patterns. God Bless! Thank you so much for your patterns, you're soooo generous!! 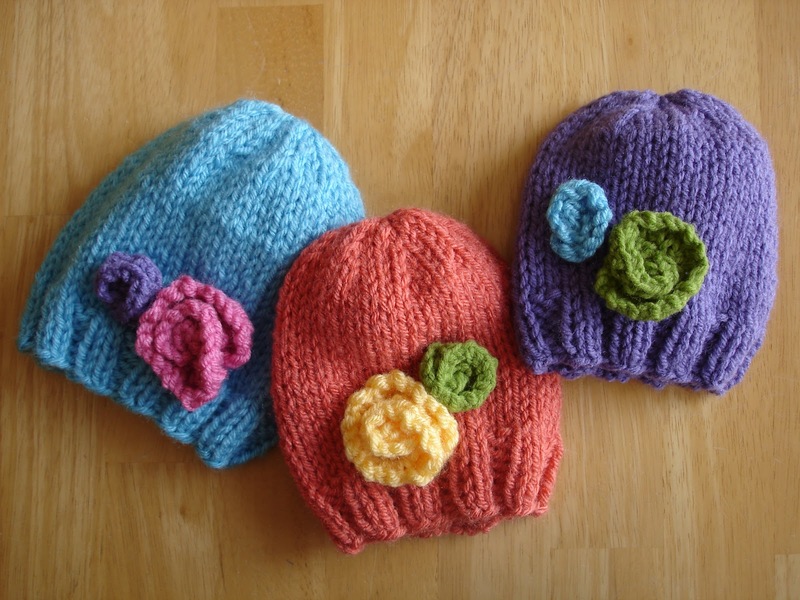 I am making some hats as presents for little 1 year olds and I will be using your patterns. You saved me! Yay! So glad you like them, little people are so fun to knit and crochet for!!! 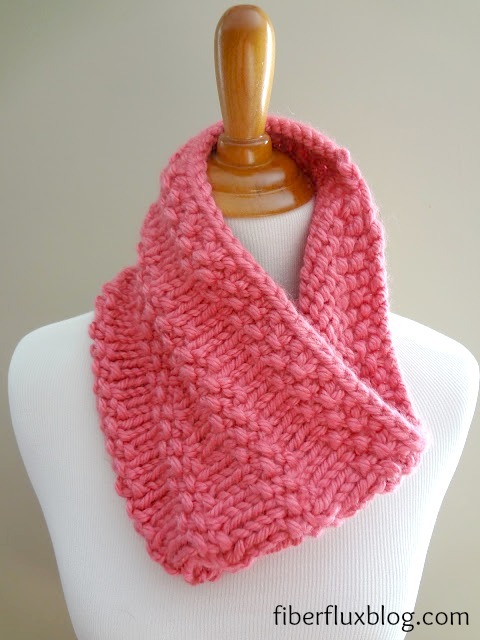 I saw your crocheted *Meringue cowl* and simply fell in LOVE with it's chunky, textured look. So I visit your website and just couldn't help LOVING ALL of your work. Thank you so much for being so generous and sharing your patterns. Since I know how to crochet, now I can't wait to learn to knit and also make several cowls and hats as gifts for my family. 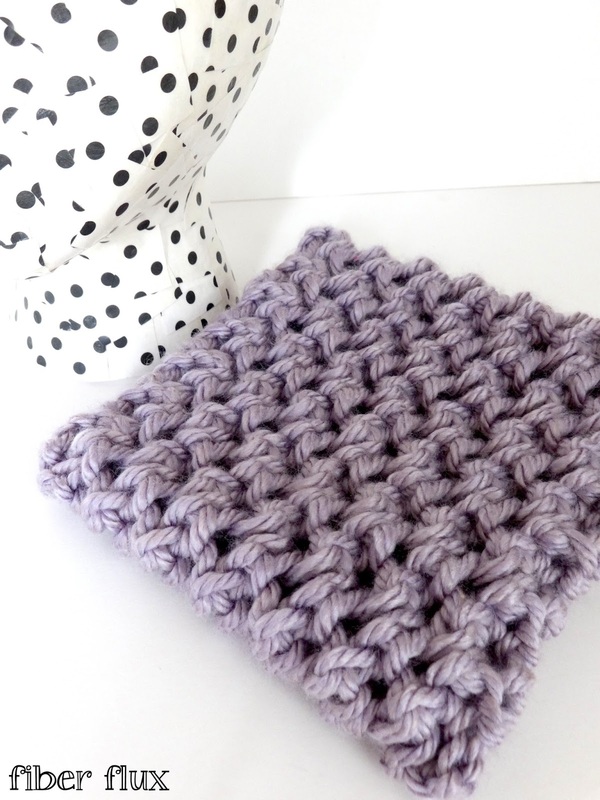 Thanks Aida for such a kind comment...I am really happy you are enjoying the Meringue cowl! 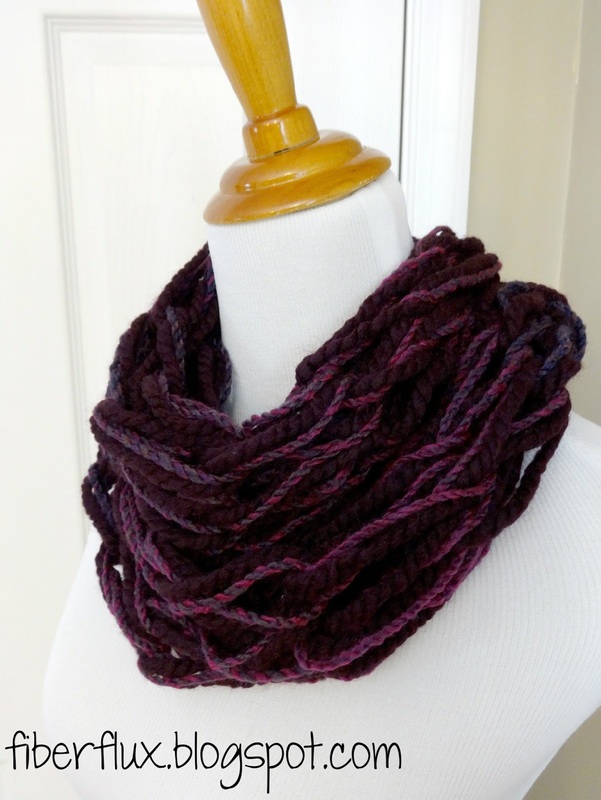 I love fast projects, I wear my cowl a lot! 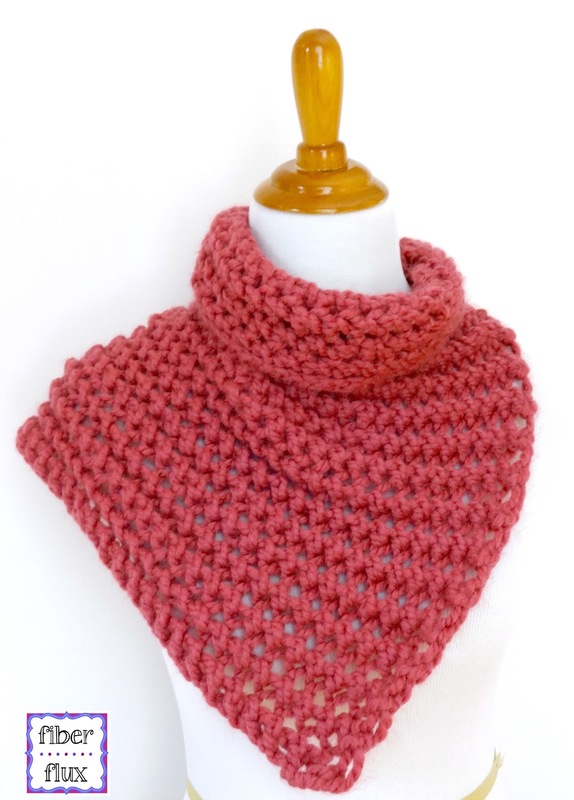 I'm having a blonde moment but I can't seem to find the pattern for the strawberry jam neck wrap.? These are wonderful patterns. Thank you so much. I love your patterns!! Lovely site! Just wondering if you might have a design for any afghans? Wow, what a wonderful site you have! Thank you so much for your generosity in sharing your patterns. I am using some of them to make hats for Chemo patients for my non profit Northwest head huggers. 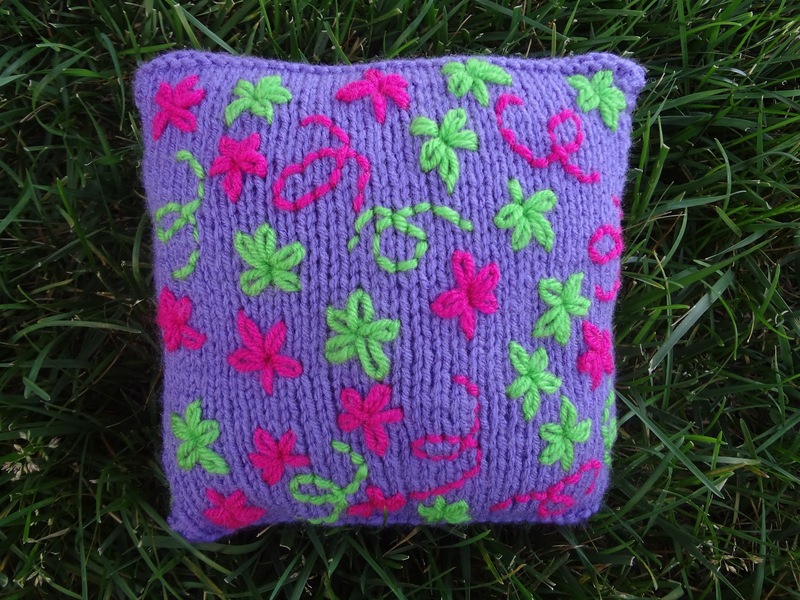 thank you thank you thank you for sharing your wonderful patterns for free! They will be put to great use. Easy to follow tutorials. I haven't knitted in years and now happy to be part of the knitting world again. Your tutorial on cable brought back many memories. I know I can do it!!!! I have only been knitting since September 2013. 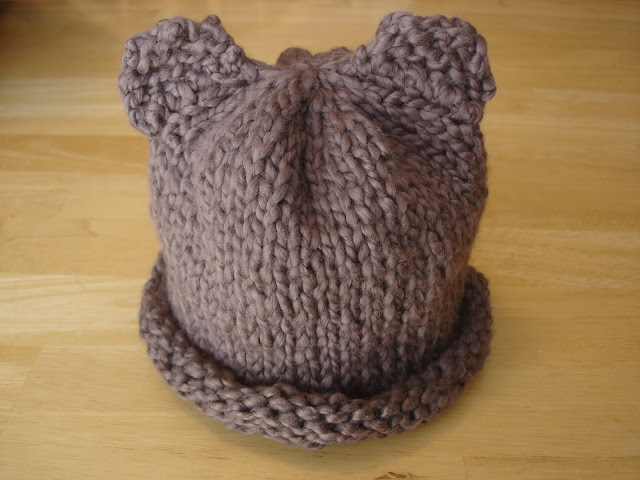 My first project in following a pattern was the baby bear hat, I loved it and found it easy to follow also finished in one day. My niece loves the hats for baby Olivia who was born on the 2nd March. 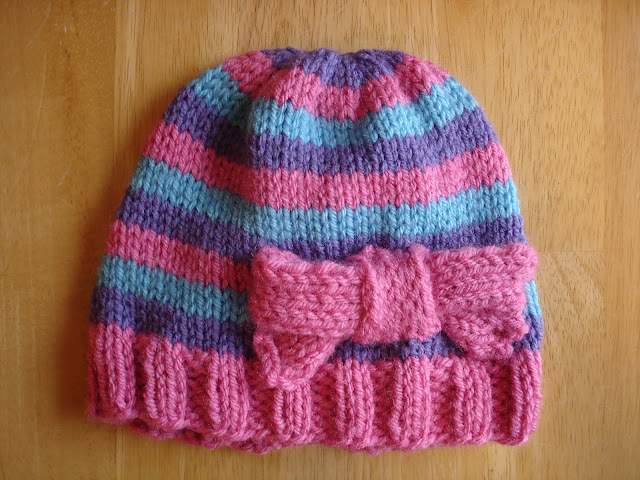 I made first hat in brown and have since knitted others in pastel colours. 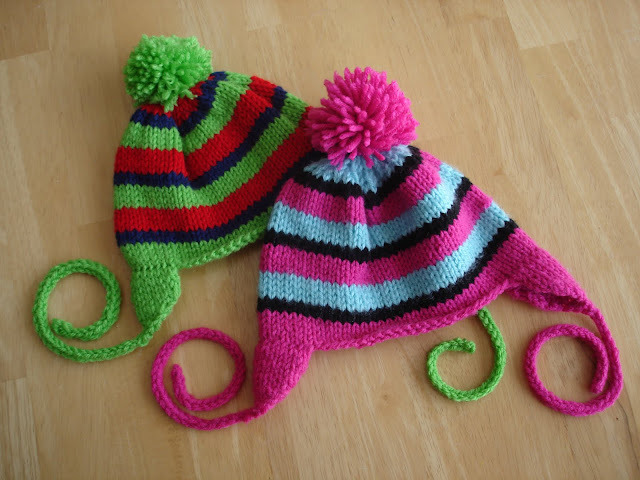 I will use these at craft fairs we do with the knit and natter group I belong too, as everyone loves the hats especially the ears. Any money raised will go to provide families through Oxfam goats, chicken, pigs, gardening tools, toilets and a child's education for a year, this all depends on how much we raise. 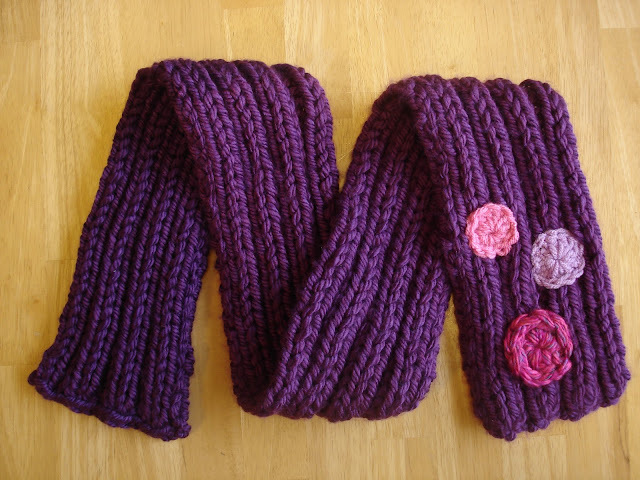 We also sell other knitted items donated by other members of the group 31 ladies and 1 man. Do you know, I think this is the best blog ever ! I adore your patterns ! So gorgeous ! I love this site. So generous of you to share all this. 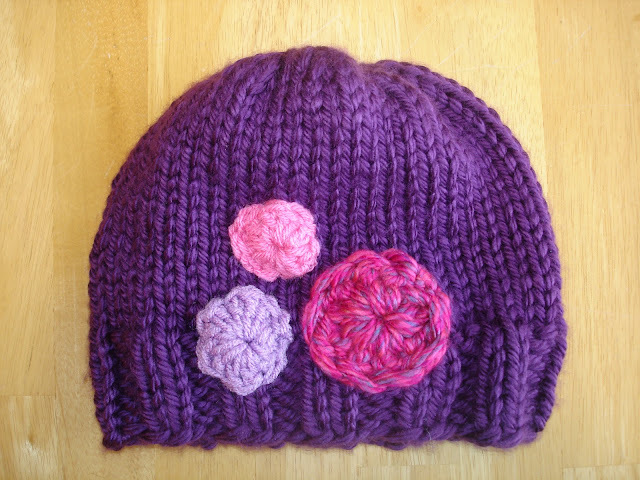 Do you have any adult hats in crochet or knit.? I love this site. It's so generous of you to share all these lovely patterns with us. 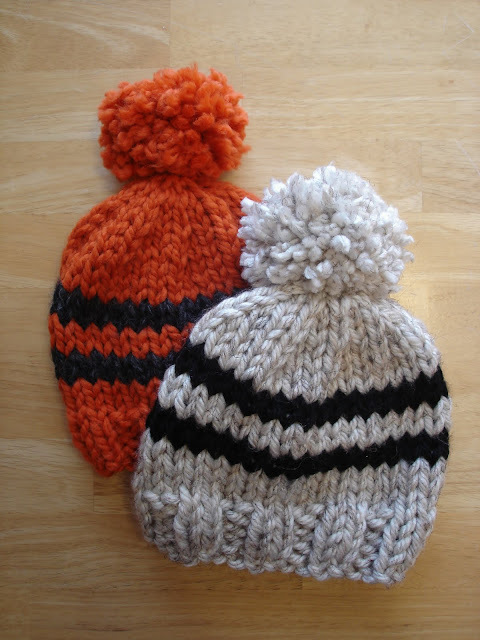 Do you have any ADULT hat patterns, crochet or knit? I need something easy. Hello there. Have just found your website. Fantastic patterns I will have to try. Love the strawberry jam wrap. 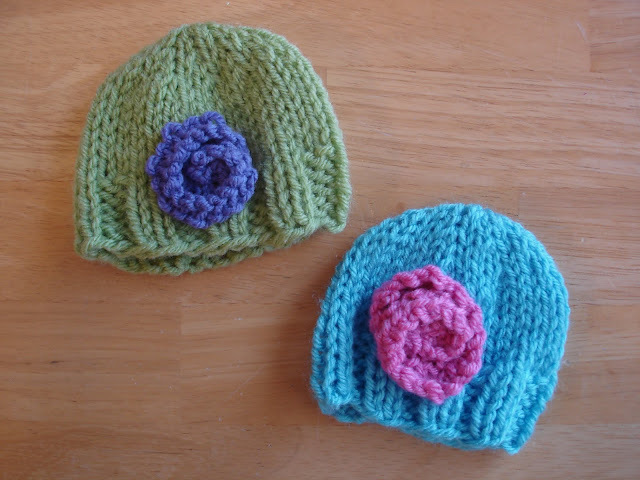 I also knit baby hats for charity so it's lovely to find some different ideas. Regards. Shelizanana. Love your patterns! 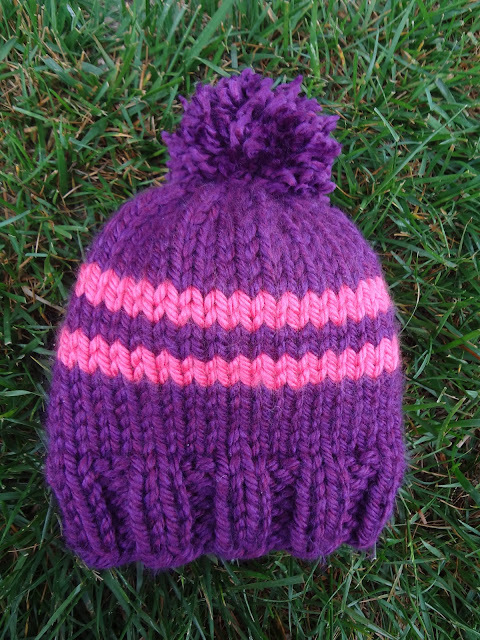 I am knitting the precious Bitty Beanie but end up with 5 stitches at the first decrease row(k7, k2 tog). I have tried to work it several times. Any suggestions? 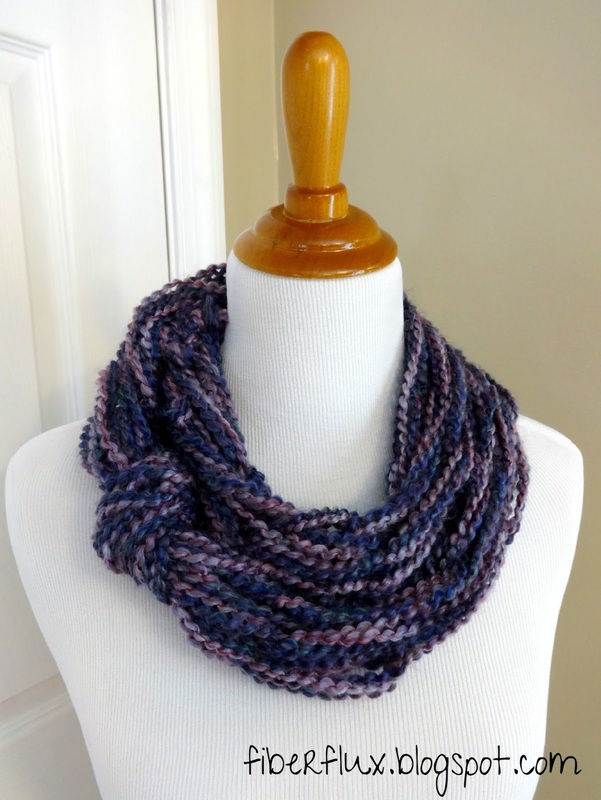 Love your knitting patterns and color choices!